New branding more accurately reflects the changing RTLS environment as well as CenTrak’s positioning, personality and mission within it. “The new brand more closely captures CenTrak’s personality, commitment to quality and performance — both being second-to-none. 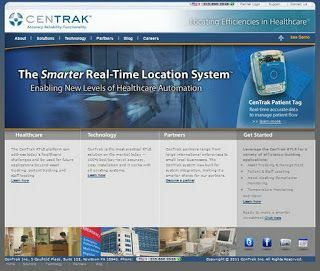 It positions us for continued growth and audience mindshare,” said Dr. Ari Naim, CEO and Co-founder of CenTrak.